The time has come again for one of the area’s biggest and most well-known festivals: Ford Arts, Beats, & Eats. The festival brings together both local and national artists, musical acts, and food exhibits for the entire Labor Day weekend. Here, you can visit artists’ showcases at the Juried Fine Art Show, located at the southern end of the fest, and view beautiful local and national art in the form of paintings, ceramics, digital art, fabric art and clothing design, glass, jewelry, photography, and more. If performances are more of your thing, then you’re in luck. This year’s festival will have nine different stages for musical acts and performance art, ranging in different genres from alternative rock to R & B, country, contemporary, etc. 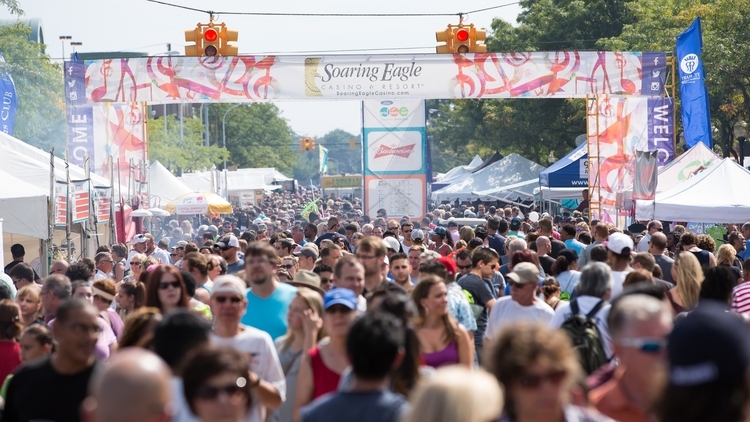 Stages include the Michigan Lottery National Stage, featuring well-known national acts such as AWOLNATION, Eddie Money, Everclear, Ben Folds, the Gin Blossoms, Matt Nathanson, and more. There will also be a DIA Kids Stage filled with fun activities and performances for the little ones. When you get hungry and thirsty—and yes, you will get hungry and thirsty— there will be over 40 different vendors, both local and national, where you can grab a snack, meal, coffee, cocktail, treat, etc. Some of our favorite vendors that’ll be at this year’s Arts, Beats, & Eats include Imperial Ferndale, Atomic Coffee, and Sweetwater Tavern. Admissions into the fest are extremely affordable and help raise money for local charities. On Friday the 31st, admission is free until 5pm, and after 5pm the price is $7. On Saturday, Sunday and Monday, September 1-3, admission is $3 before 3pm, $5 after 3pm, and then is raised to $7 after 5pm. The festival runs from 11:00 am to 11:00 pm Friday through Sunday, and runs from 11:00 am to 9:30 pm on Labor Day. Check the Arts, Beats & Eats website for an event map, parking info, and more. This Labor Day Weekend, the 39th annual Detroit Jazz Festival will take place in Hart Plaza downtown. The event, presented by Quicken Loans and the Detroit Jazz Festival Foundation, will feature 60+ different performances, including notable, authentic jazz artists and many up-and-coming artists as well. Artists featured at this year’s jazz fest are local, national, and even international. One artist to watch is the festivals “Artist-in-Residence” Chick Corea, who has won 22 Grammy awards during his career. Tickets to the event are free, but you can purchase VIP packages on the festival’s website. VIP perks vary by package, but include souvenirs, access to different special events, etc. The city of Hamtramck is holding its 39th annual FREE Labor Day Festival from Saturday through Monday. Although Hamtramck is a little city, its citizens sure know how to party. 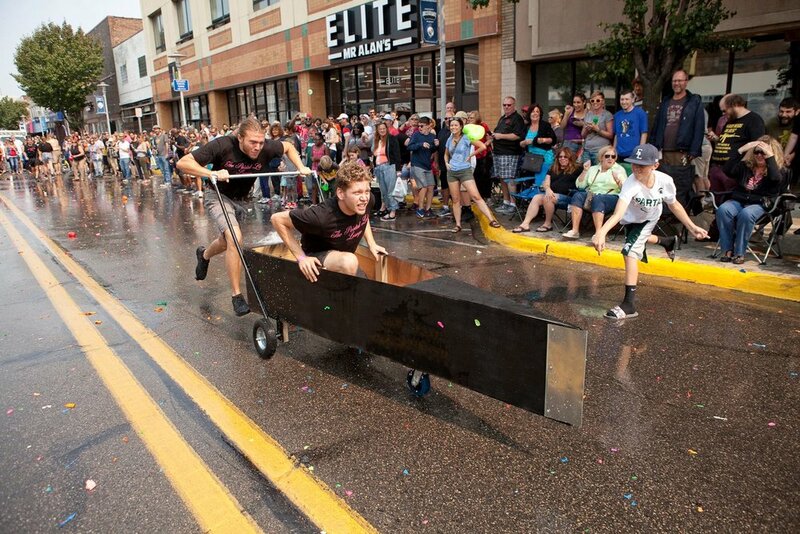 Festivities include two separate stages with 40+ performances, a carnival that runs from noon to 9 pm each day, the Polish Day Parade (on Monday, starting at 1:30 pm), and the Hamtramck Yacht Club “canoe” races (canoes on wheels) down Joseph Campau. For all you foodies and hungry people out there, there will be plenty of tasty food and drink vendors to satisfy your cravings. Come celebrate Hamtramck’s rich history of hardworking people by attending this festival! Directions, more vendor information, and everything else you need to know is available on the fest’s website. will be bringing his folky, psychedelic rock stylings back to Detroit on Friday, August 31. Rodriguez made his claim to fame in other countries from the 1970’s to the 1990’s. 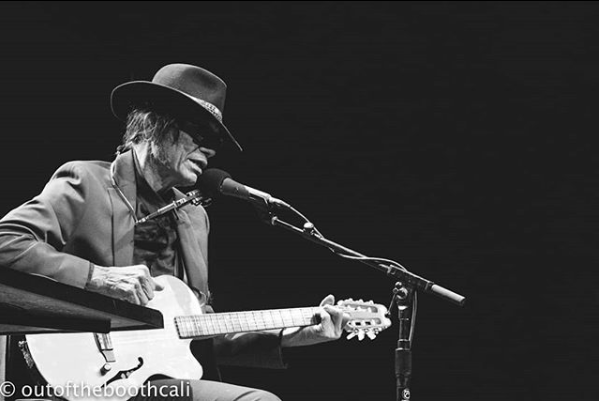 His fame has been resurging recently in the U.S., partially due to the 2012 Oscar-winning documentary Searching for Sugar Man, which is centered around the musician. The show is at the gorgeous Garden Theater, located on Woodward in Midtown, Detroit. The show starts at 7 pm, and all ages are welcome. Tickets are $45, and they are selling fast! Links for tickets and more show info is available on the event’s listing on the Garden Theater’s website. Like I’ve said, the Detroit area is a great place to find something to do for the holiday weekend. If none of the above sound appealing to you, perhaps you’d enjoy eating a giant turkey leg at the Michigan Renaissance Festival, a pie eating contest at the Michigan State Fair, or gathering with a group at the Dequindre Cut Freight Yard. The most important thing, no matter what you end up doing, is that you send summer off in a memorable way. Happy Holiday, everyone! Let’s get some sun and fun while we still can!